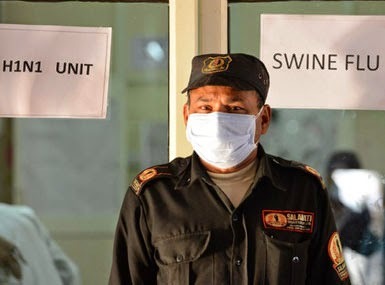 Aizawl, Mar 20 : The number of swine flu-affected people in Mizoram stands at four after two persons tested positive for the disease on Thursday, a senior official of the state Integrated Disease Surveillance Programme (IDSP) said. The official termed the situation in the state 'alarming' after two patients from Kolasib district, along the Mizoram-Assam border, tested positive for swine flu on Thursday. The two claimed they have never gone outside the state. The situation was discussed at an emergency meeting at the office of health minister Lal Thanzara on Thursday. The principal director of the state health and family welfare department said, of the 10 samples sent to the National Institute of Cholera and Enteric Diseases, Kolkata, four have tested positive. A committee on hospital response to emerging and re-emerging diseases and district-level rapid response teams have been formed to prevent the spread of swine flu. Mizoram's first swine flu patient, who reportedly got infected in Delhi, has been completely cured, Pachuau Lalmalsawma, nodal officer of the IDSP, said.